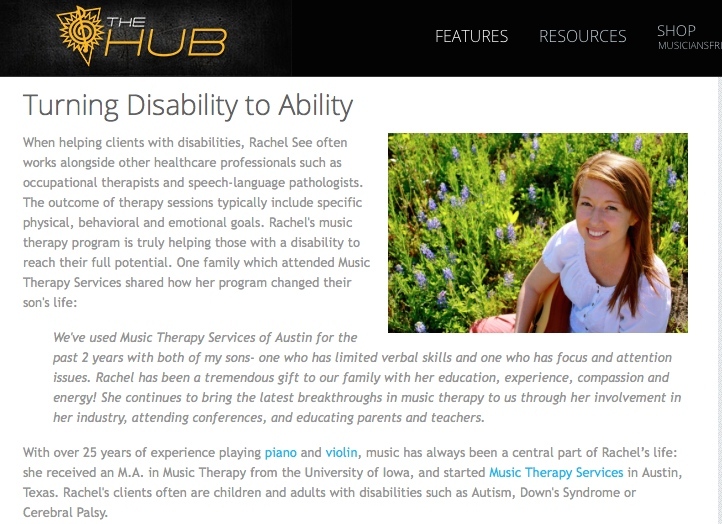 Recently, we had the honor of being featured alongside some other fabulous music therapists on the Musician’s Friend blog, The Hub. You can find the article, The Power of Music Therapy, HERE. Thanks, April, for the interview, and thank you, Musician’s Friend for the shout-out!